Multi Taco Holder, red, food-safe melamine. 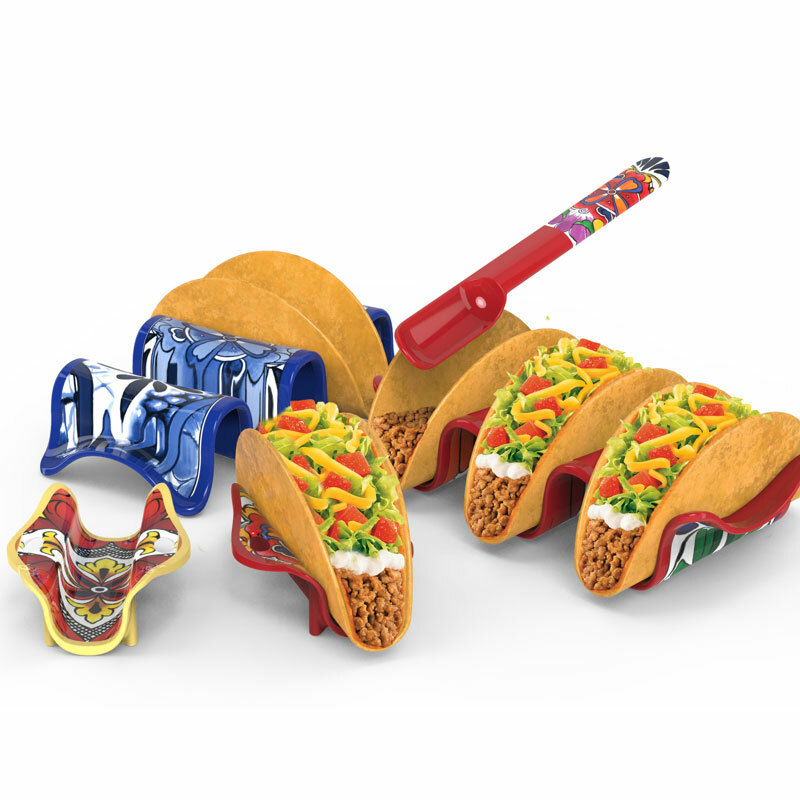 A colourful and convenient holder that lets you fill and serve tacos without making a mess. Double sided to hold 2 or 3 tacos at a time. Dishwasher safe. Not microwave safe.